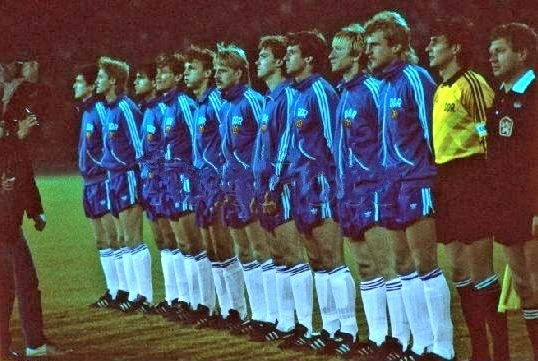 Алексей ВОДЯГИН. 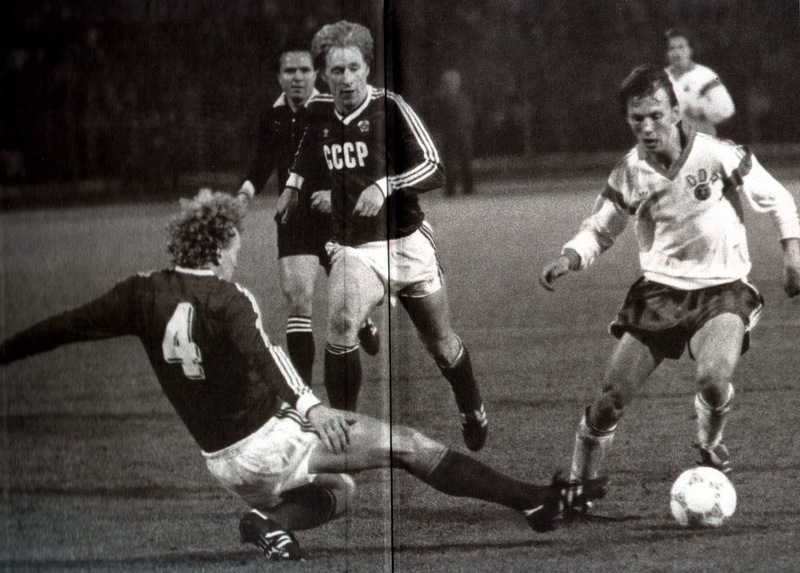 Еженедельник "Футбол-Хоккей" №42, 1987 г.
А. ВЛАДЫКИН, Берлин. 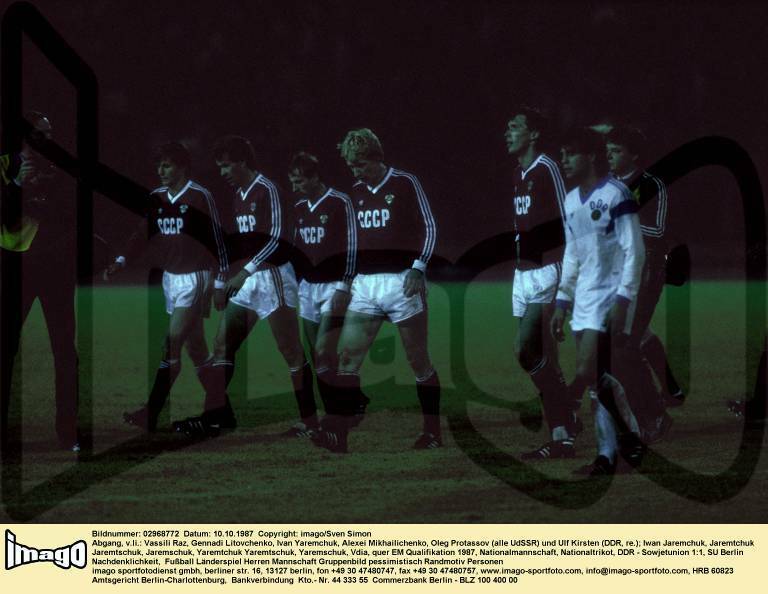 Газета "Советский спорт", 13.10.1987 г.
UEFA European Football Championship 1988, Preliminary round, Group 3, match in East Berlin, German Democratic Republic (East Germany) vs. Soviet Union 1:1, East German players before the match, October 10, 1987. 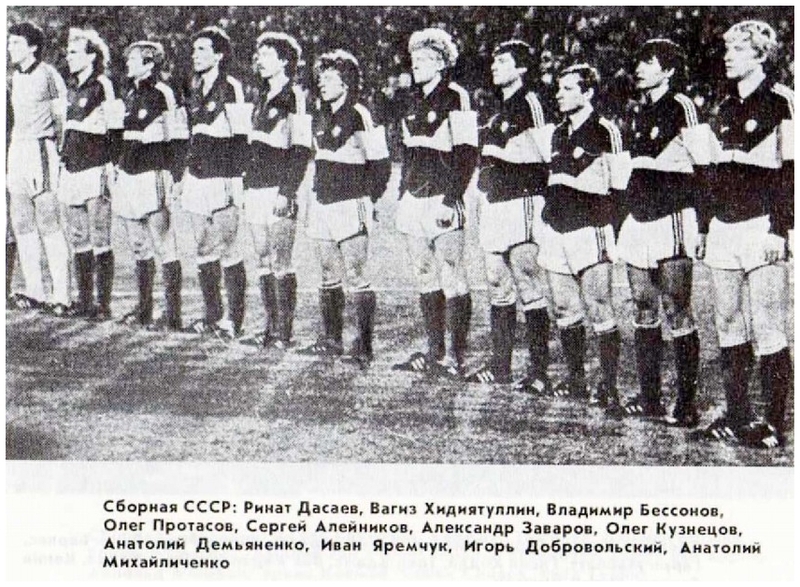 Сборная СССР перед матчем с ГДР. 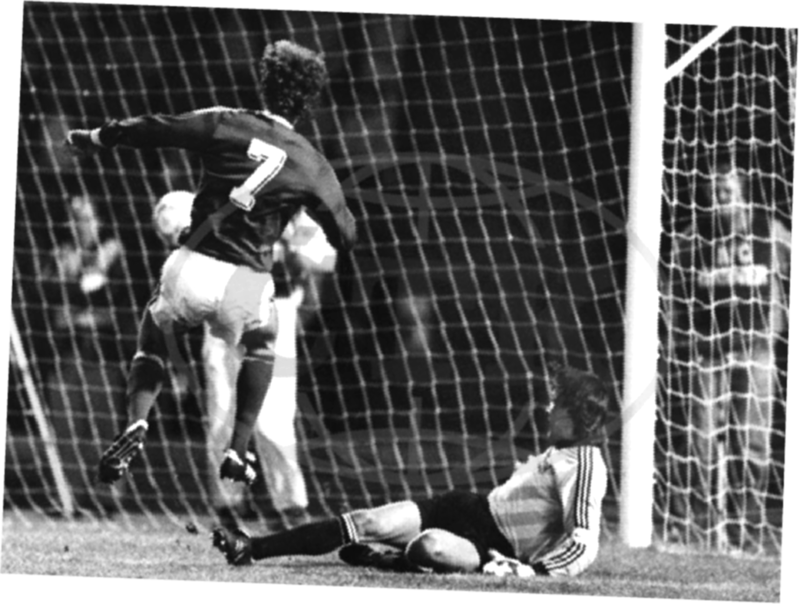 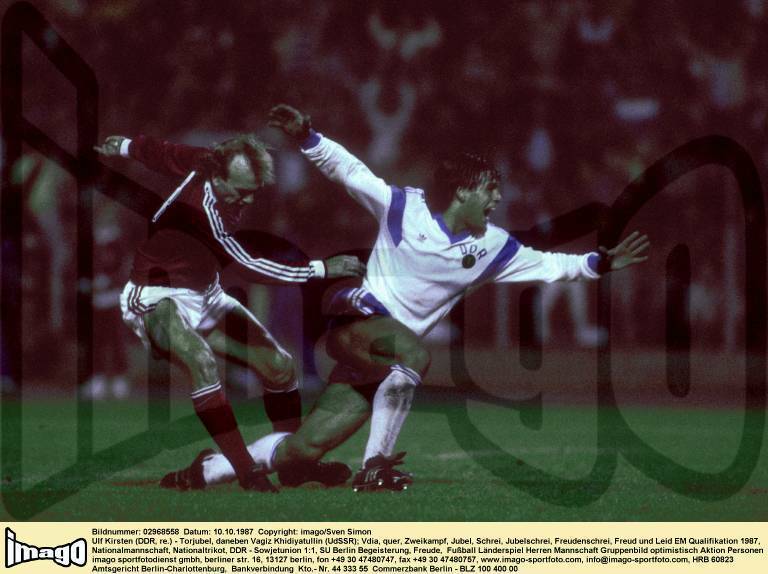 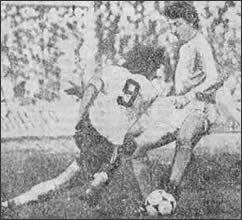 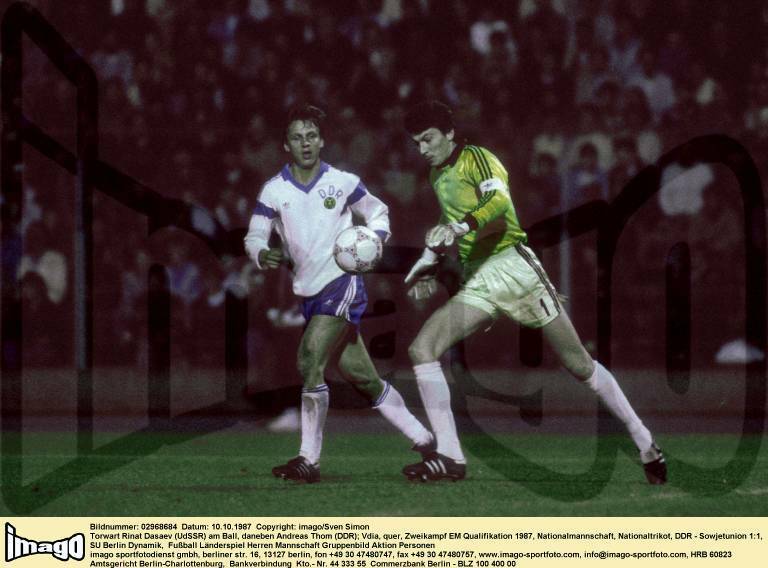 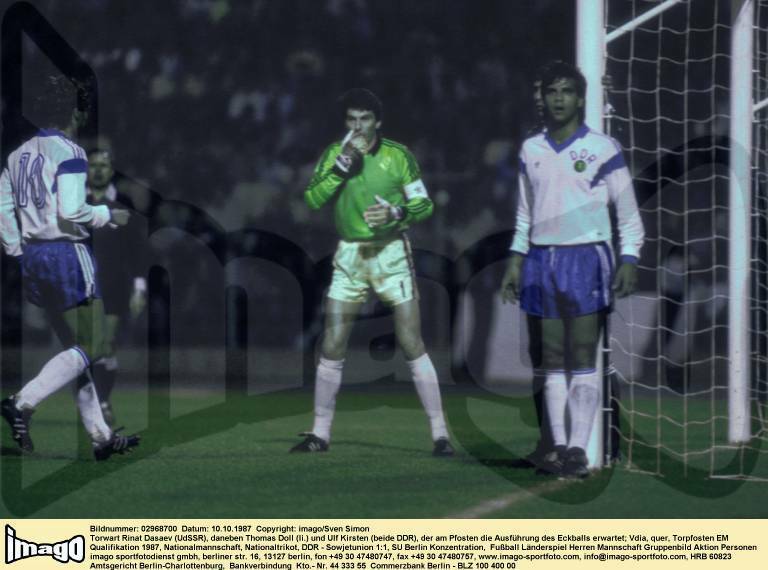 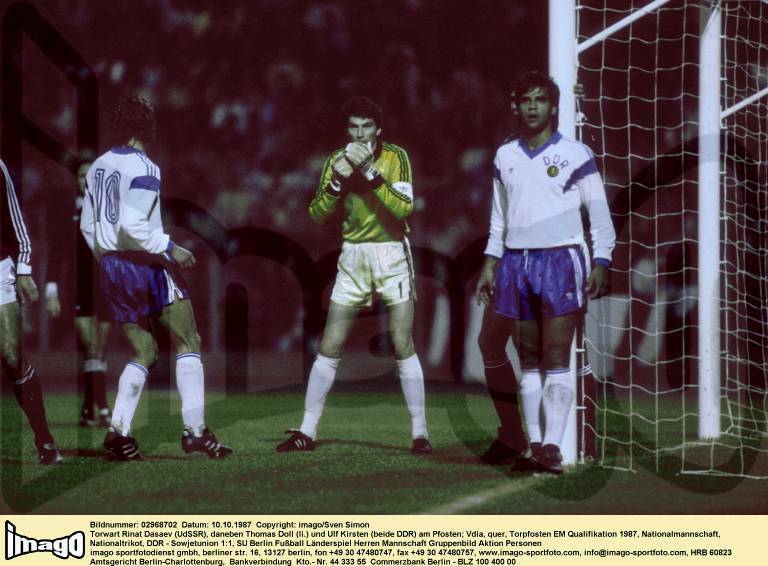 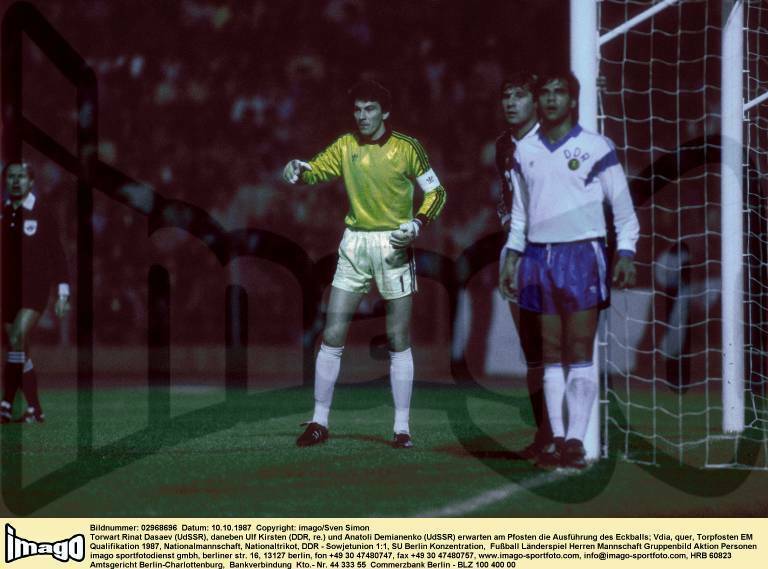 UEFA European Football Championship 1988, Preliminary round, Group 3, match in East Berlin: German Democratic Republic (GDR, East Germany) vs. Soviet Union 1:1 - goal by Serguei Aleinikov (SU, 7) against goalkeeper Rene Mueller (GDR), October 10, 1987. 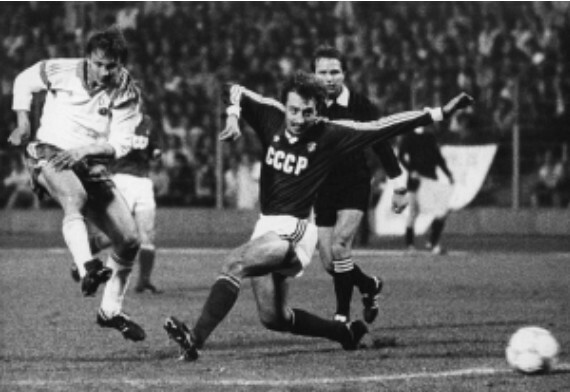 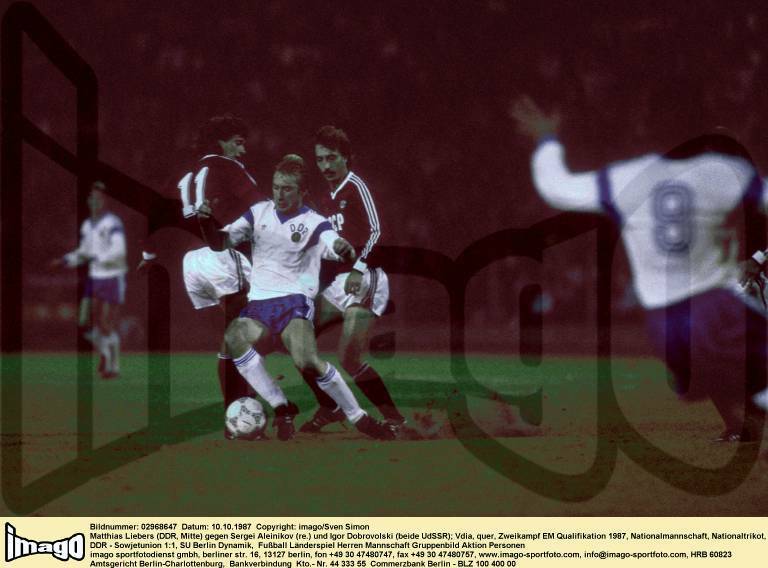 UEFA European Football Championship 1988, Preliminary round, Group 3, match in East Berlin, German Democratic Republic (East Germany) vs. Soviet Union 1:1, scene of the match, Soviet players rejoice with scorer Serguei Aleinikov (c.) after 1:1 equalizer, October 10, 1987. 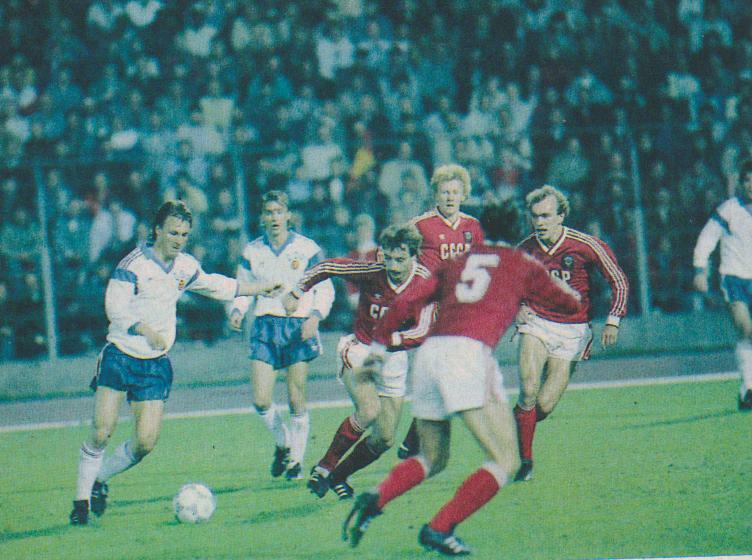 UEFA European Football Championship 1988, Preliminary round, Group 3, match in East Berlin, German Democratic Republic (East Germany) vs. Soviet Union 1:1, scene of the match, East German Ulf Kirsten (Nr. 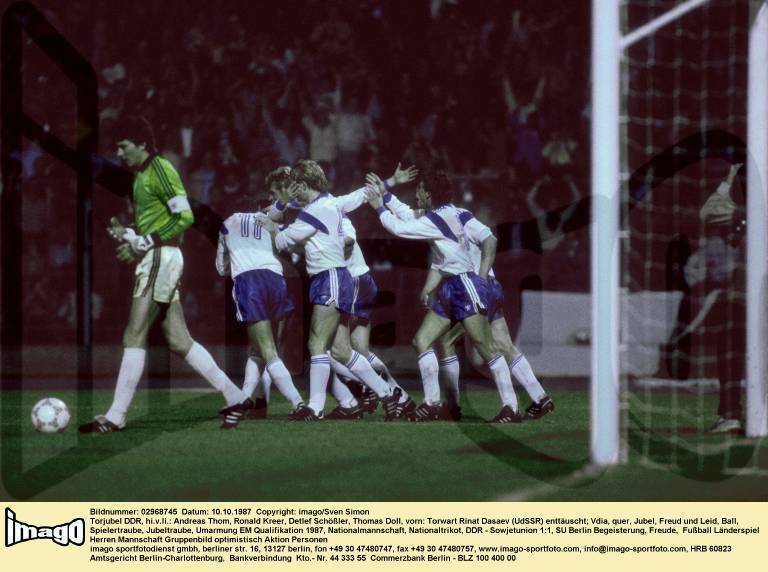 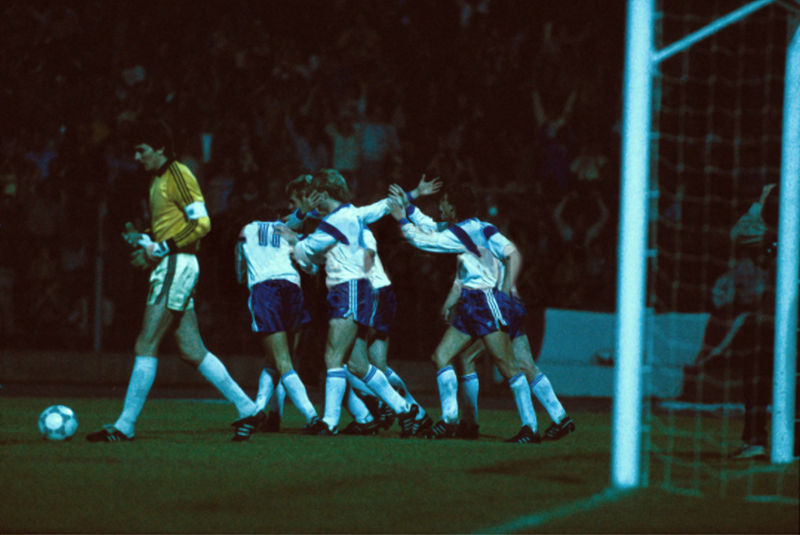 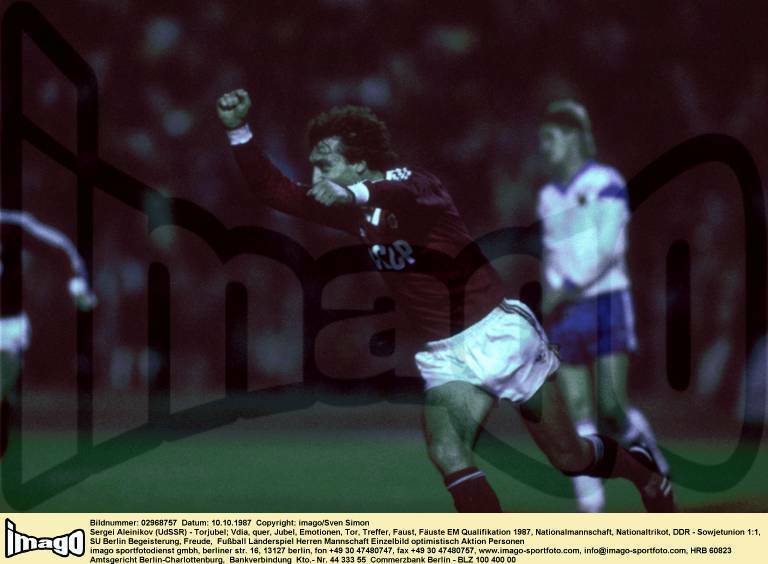 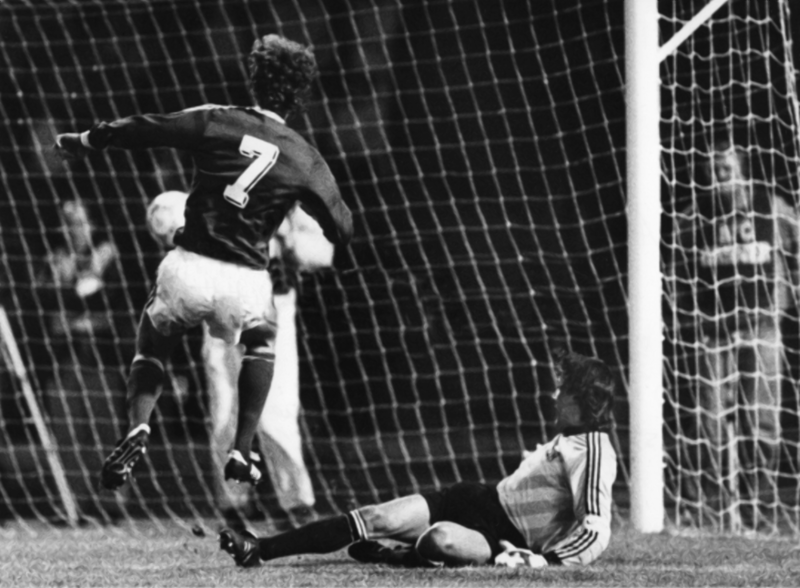 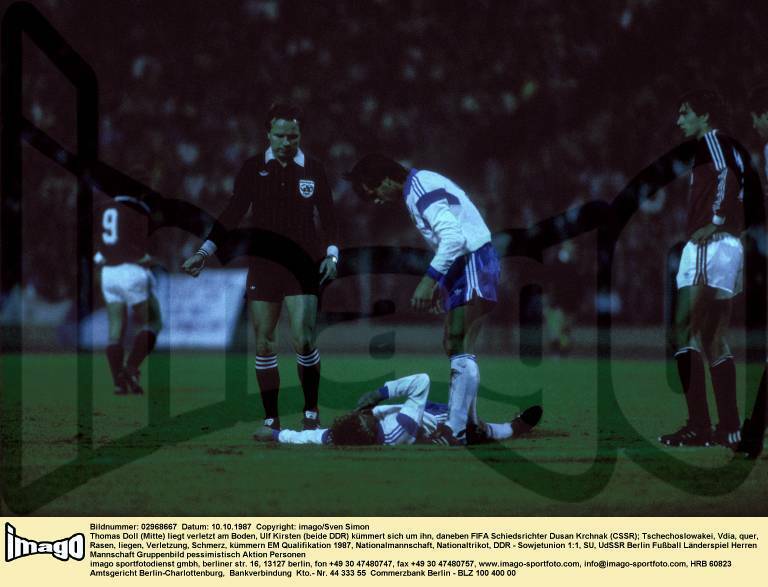 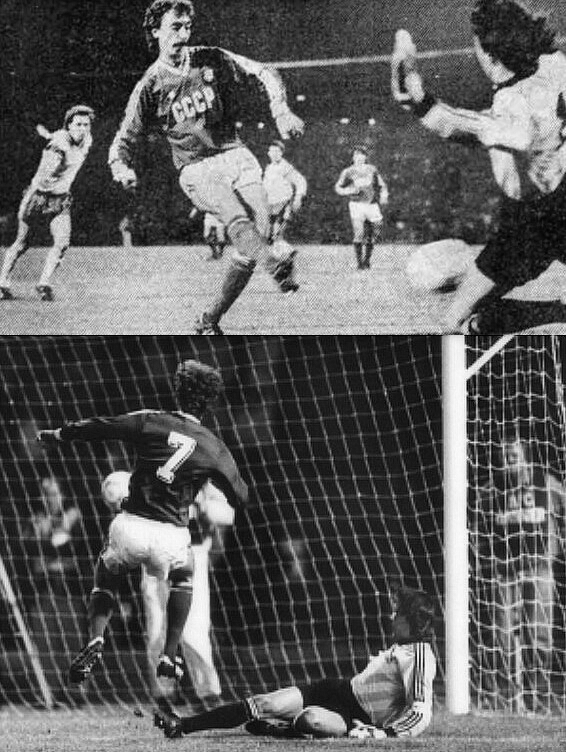 9) rejoices after scoring 1:0, October 10, 1987. 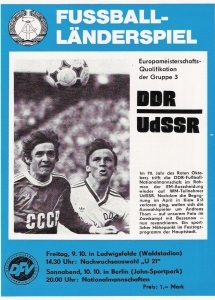 Qualifikation zur Fussball-EM 1988, Gruppe 3 in Ostberlin: DDR - UdSSR 1:1 - Spielszene in der 44. 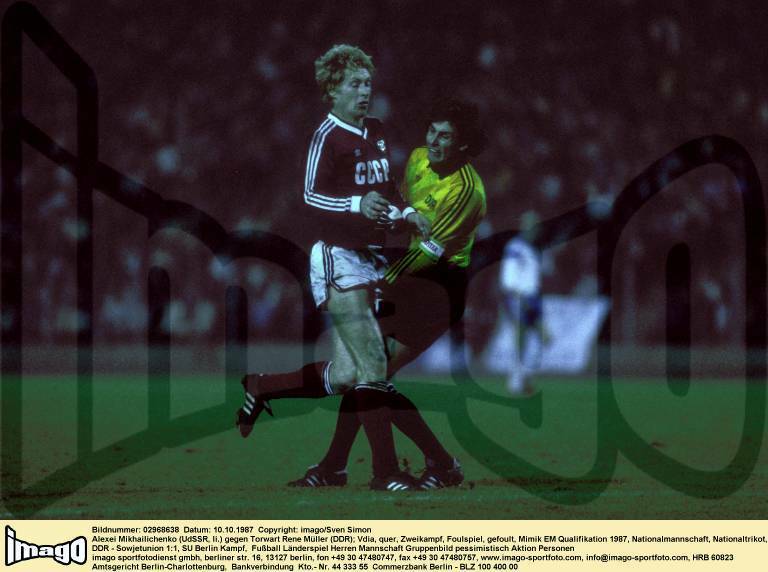 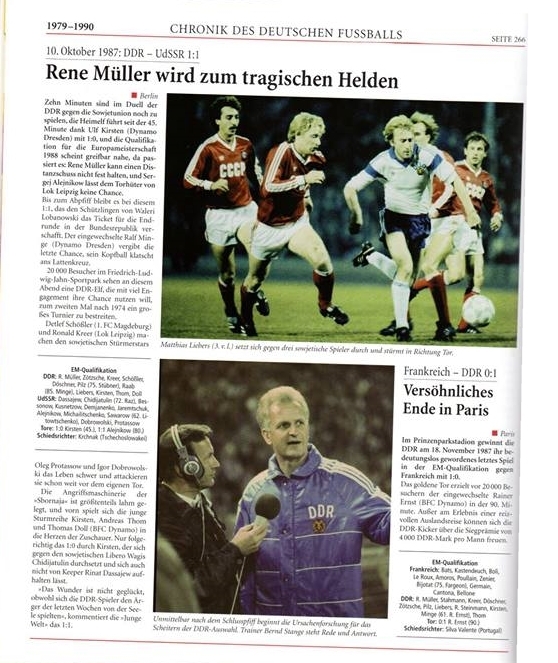 Spielszene: Die DDR-Spieler jubeln nach dem 1:0 durch Ulf Kirsten, davor Torwart Renat Dassajew (URS) - 10.10.1987 UEFA European Football Championship 1988, Preliminary round, Group 3, match in East Berlin, German Democratic Republic (East Germany) vs. Soviet Union 1:1, scene of the match, East German players rejoice with scorer Ulf Kirsten after 1:0, goalkeeper Rinat Dasaev (URS) in front, October 10, 1987. 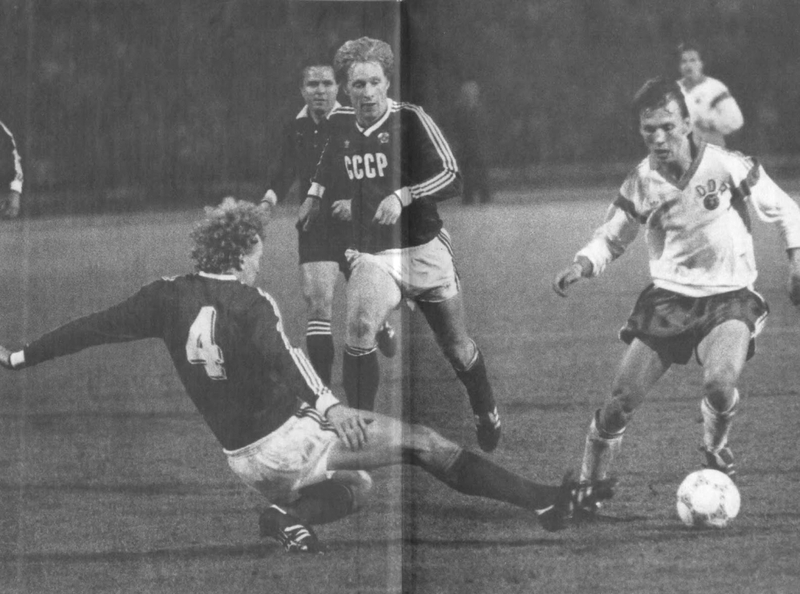 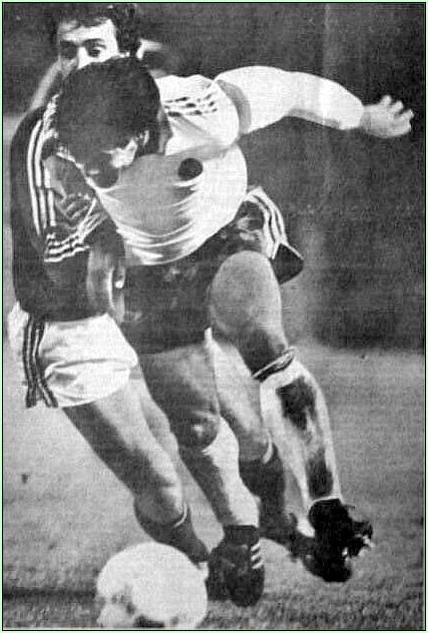 German Democratic Republic (GDR, East Germany) vs. Soviet Union 1:1 - shot by Andreas Thom (GDR, left) against Serguei Aleinikov, October 10, 1987. 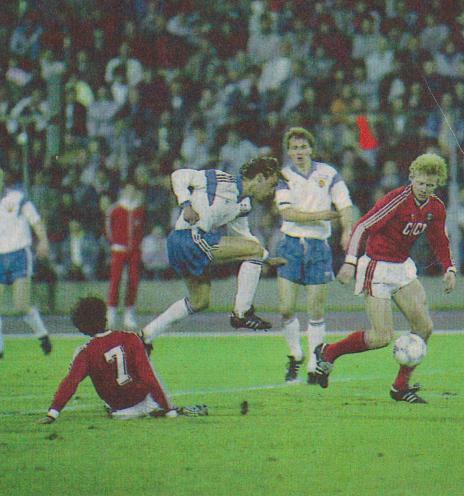 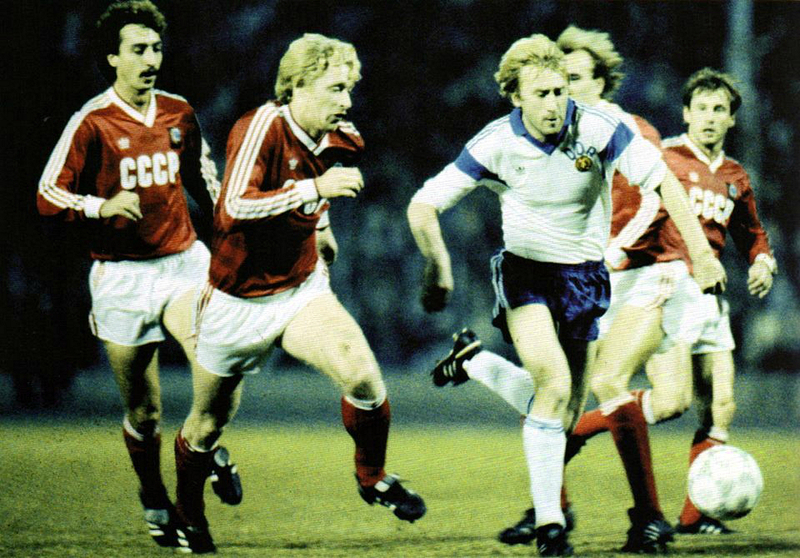 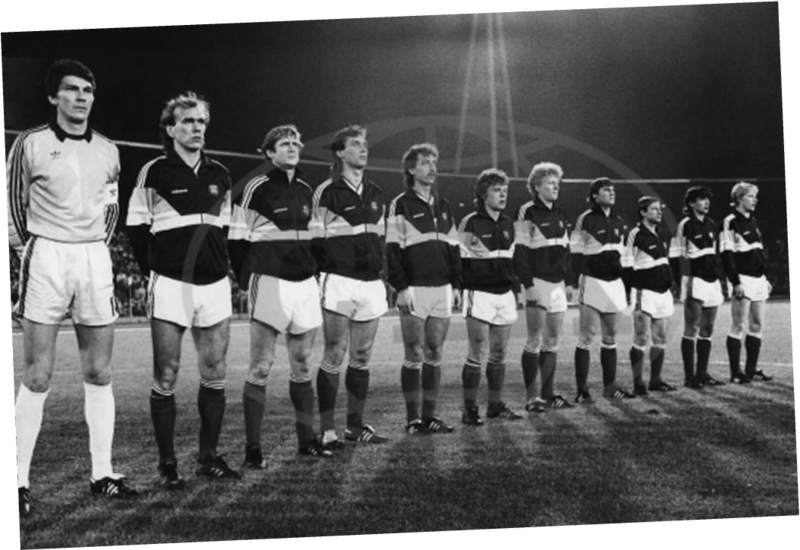 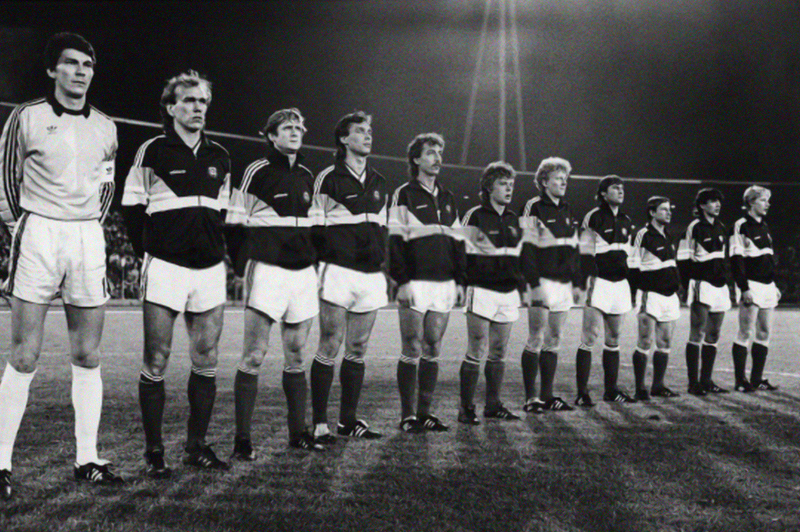 UEFA European Football Championship 1988, Preliminary round, Group 3, match in East Berlin: German Democratic Republic (GDR, East Germany) vs. Soviet Union 1:1 ­ Soviet players, October 10, 1987. 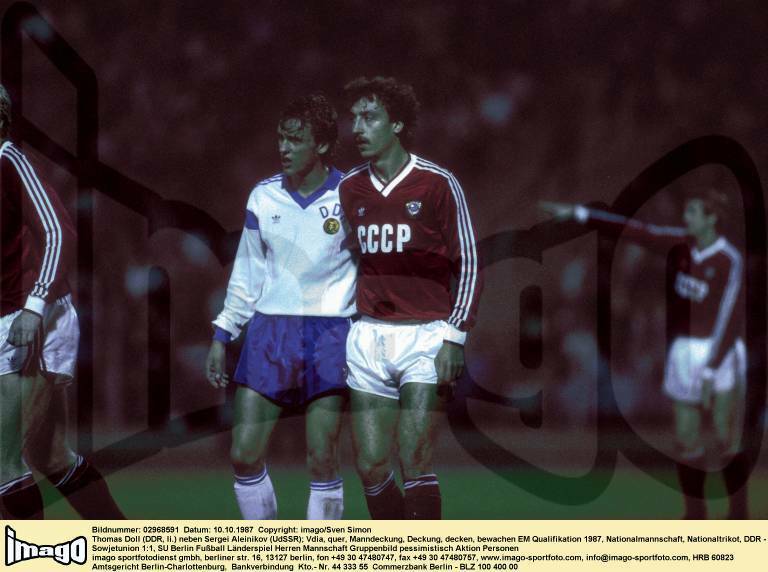 На фото Олег Кузнецов, арбитр Душан КРХНЯК (ЧССР), Алексей Михайличенко, Андреас Том. 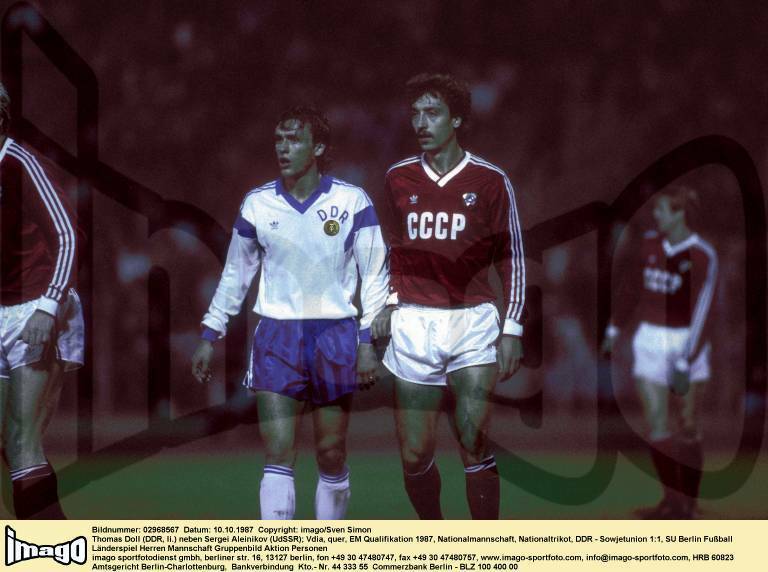 German Democratic Republic (GDR, East Germany) vs. Soviet Union 1:1, October 10, 1987. 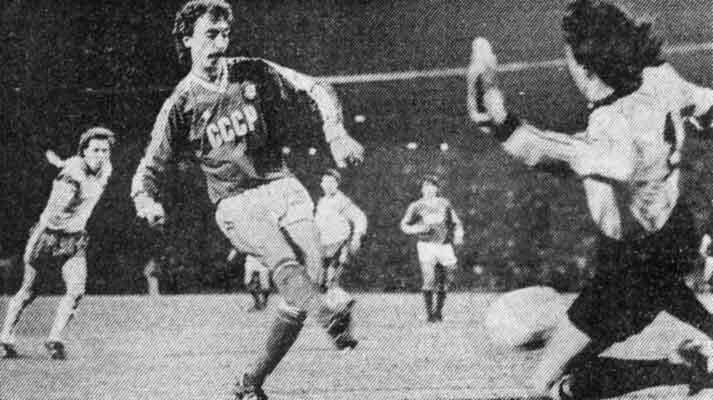 Хидиятуллин в эпизоде матча.